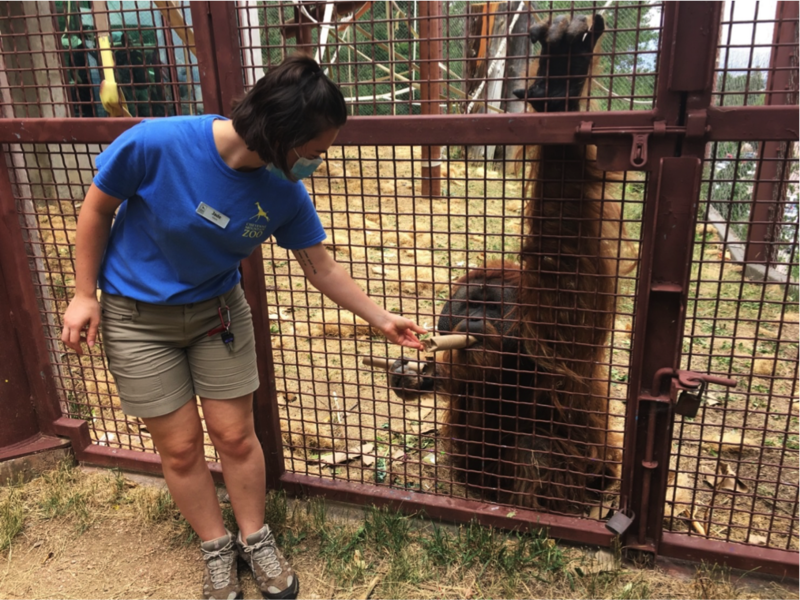 This summer, Jade Desmarais ’18 (anthropology) interned for the “Primate World” exhibit at Cheyenne Mountain Zoo in Colorado Springs, Colorado. While part of her duties included cleaning the enclosures, she was also able to prepare and administer medications, feedings, and enrichment to the various primate species in the exhibit. She also assisted in many training demonstrations and performances the zoo presented to the public. Desmarais got involved with the internship program by first researching various accredited zoos in the country with primate exhibits, then narrowing her search to those that offered programs of interest. She says her classes in the UMass College of Social and Behavioral Sciences have demonstrated that there is an internship opportunity for every field or line of work. “Because SBS encompasses such a broad array of course possibilities, it really gives you the chance to find issues you wish to get more involved in, and explore them further through internship and co-ops.” She explains that her professors have encouraged students to seek out internship opportunities, even directing them to specific ones based on what topics are being discussed in class. This internship provided Desmarais with valuable work experience and has made her a more confident person. This experience also led to her becoming a more active member in her community. Now, Jade is more well-versed in today’s issues on captive animals and conservation, so she is able to educate those around her and inspire action for the improvement of animal care practices and species survival. Planning on taking on an internship? Apply for an SBS internship scholarship.